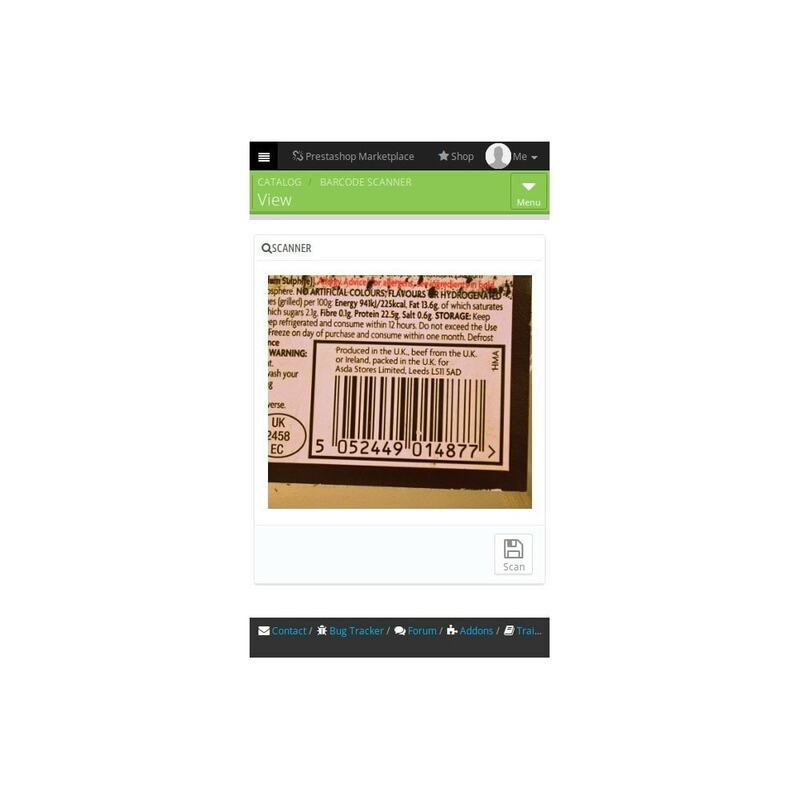 This is the module that help you find and mange your products and orders by scan its ean code. Using camera in your cellphone this module give you ability to quick find product and orders and later preview it or edit it. This module give you tool to change your smatphone to barcode reader. This feature will help you to search for preview or for edit the product and orders by just scan its barcode. 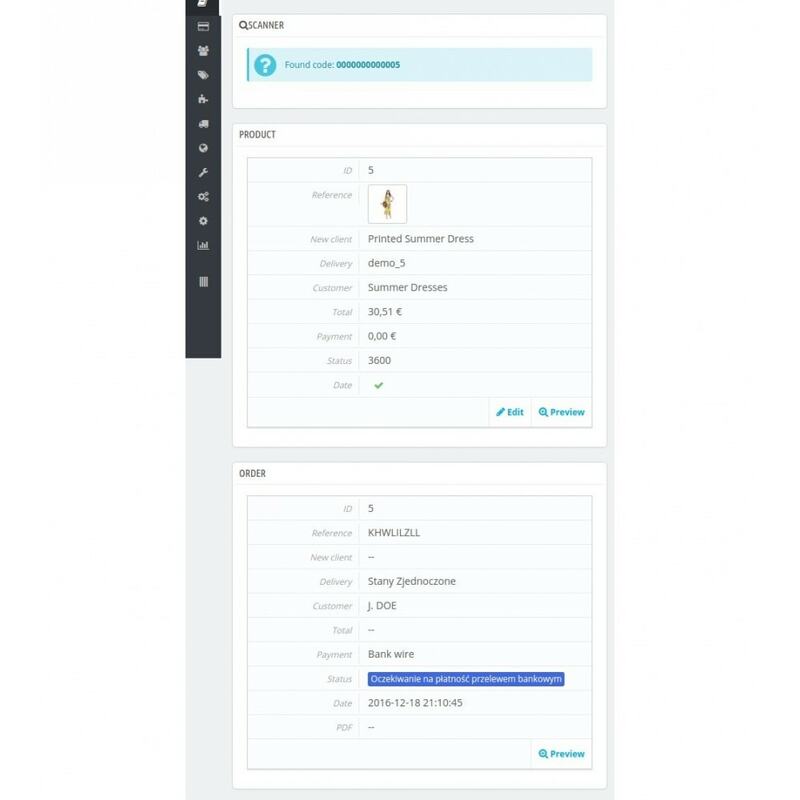 It will help you improve performance of managing your shop products and orders. This module change your smartphone or tablet to barcode reader. It give ability to find product and orders by scan its barcode with ean13 formats. After find product it display base info about it using same table format as on default admin product listing. Additionally after find product there are 2 actions available on found product. Open front page site with found product and open admin edit product page. Those 2 actions can be configured to be open on same browser tab or in new browse tab. After find order it display base info about it using same table format as on default order listing. Additionally after find order there is preview action available. 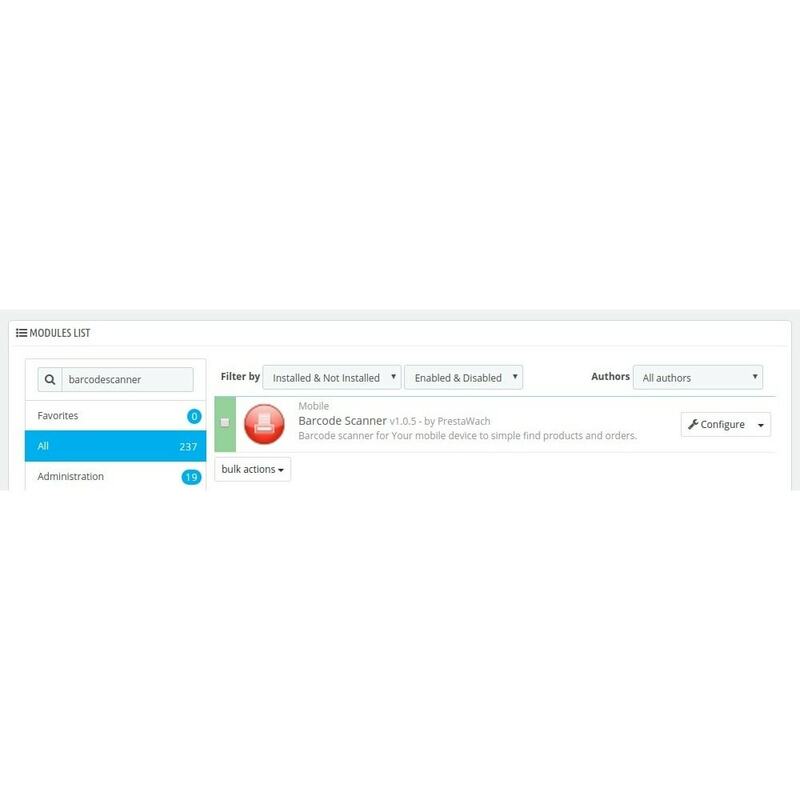 Adds the serial numbers management feature to PrestaShop products and gives you the ability to sell and easily manage serial numbers, keys, licenses, codes and links. 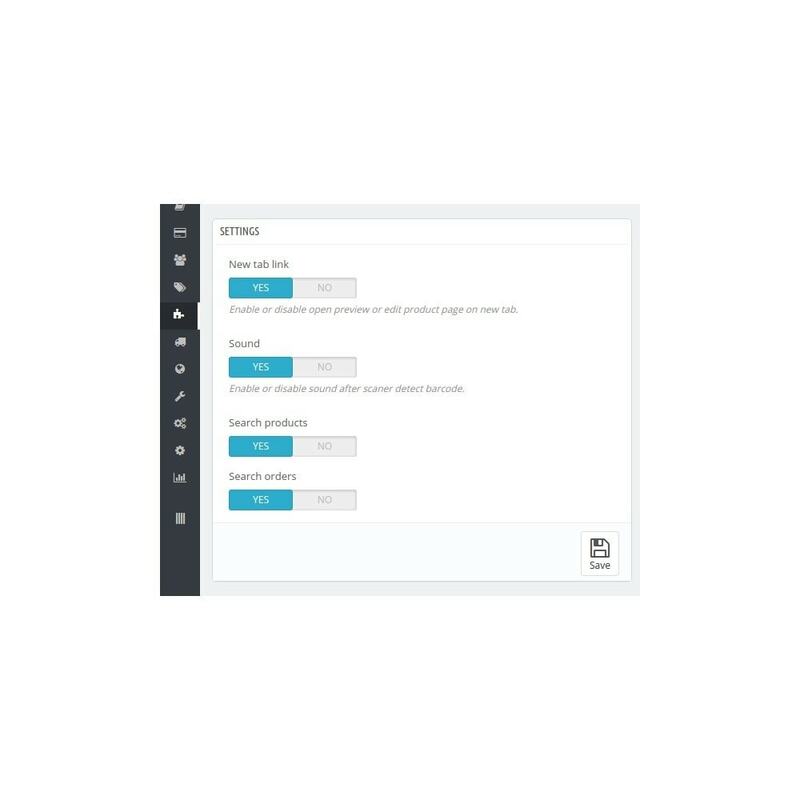 Module fully implement default prestashop admin layouts and that mean it's fully responsive. It will look nice on all type of screens and devices. First of all you need modern cellphone with camera. Your cellphone must have ability to install one of the latest internet browser. Internet browser that is compatible with this module is the one that support command getUserMedia. At develop time browsers that support that command are: Firefox, Chrome and Opera. After first run of the module your device will ask you to approve or refuse access of the camera. Of course to use this module you have to accept. Module use standard prestashop installation way. - Enable or disable product search by its ean13 code.